studied piano, became an accompanist and subsequently specialized in period instruments. Her mentors were Conrad Hansen, Charles Spencer and Peter Feuchtwanger. Susanne von Launs musical partners included singers Christiane Iven, Evelyn Herlitzius, Ruth Ziesak, Martin Kränzle and cellist Bohuslav Pavlas. Her solo repertoire extends from baroque to modern with emphasis on early classical and early romantic music. She enjoys playing the repertoire of less frequently performed composers such as Johann Christian Bach and Franz Xaver Mozart, Wolfgang Amadeus’ son. 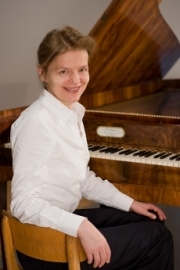 Since 2002 she has played the historical instruments of the Beurmann collection in the "Museum für Kunst und Gewerbe" in Hamburg for public audiences. Her performances include recitals in the Handel Haus in Halle, in Berlin at the Friedenauer Kammerkonzerte, in the Beurmann Collection in Hamburg, in Kloster Michaelstein, in Fenton House in London, in the Cobbe Collection, at Finchcocks, in Salzburg for the Michael Haydn Society, in Vienna in the Haydn Haus and Marmorsaal, Neue Burg, Kunsthistorisches Museum, in Praha in the Villa Bertramka as well as in other European countries and in Japan. She lectured repeatedly at Weliki Novgorod State University and has been invited 10 times for piano recitals in Weliki Novgorod, Russia in 2019. Susanne von Laun lives in Hamburg. In 2005 she received the Muzio Clementi Award. 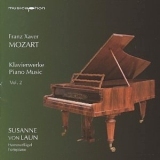 The first CD with recordings of Susanne von Laun has been published in June 2008 at Musicaphon and recommended by hr2, mdr Figaro, NDR Kultur and Bayern4 Klassik. Susanne von Laun was appointed member of the jury of the 1. International Music Competition for Children and Adolescents at Schloß Hohenlimburg. Her first CD of Franz Xaver Mozarts piano music, a recording of the Polonaises has been published in October 2010 at Musicaphon and presented by SWR2 Treffpunkt Klassik and rbb Kulturradio. 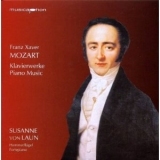 The CD Franz Xaver Mozart piano music vol 2 has been released in October 2012 and has been introduced with a radio interview by the NDR. It includes various variations and the Rondo op 25, the version for piano solo of the second piano concerto.The third volume of the piano music by Franz Xaver Mozart includes the sonata op.10, the dances and the fantasia FXWM:30 and has has been published in November 2014. The 4th CD completed the recording of the entire piano Oeuvre of Franz Xaver Mozart in 2016.